ISLAMABAD: The Pakistan Peoples Party (PPP) has warned of strong “resistance” if the controversial Kalabagh dam project is revived, terming such a move an “utter disrespect” to parliament and the people of the country. PPP Senator Sassui Palijo said in a statement here on Sunday that the provincial assemblies of three provinces had rejected Kalabagh dam and “whoever will support this rejected dam will face strong resistance”. 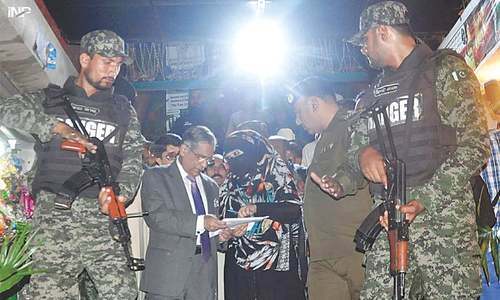 The statement was issued by the party apparently in reaction to the remarks of Chief Justice of Pakistan Mian Saqib Nisar at a ceremony in Lahore on Saturday in which he had said that only Kalabagh dam “guaranteed the survival and security of Pakistan”. 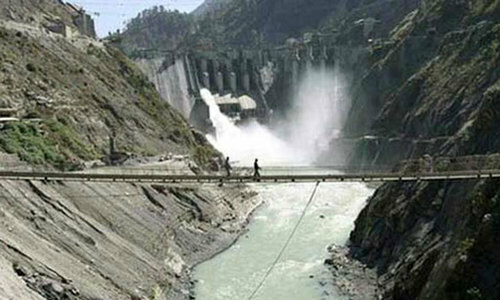 The CJP stated that they had not stopped pursuing the matter of Kalabagh dam’s construction. 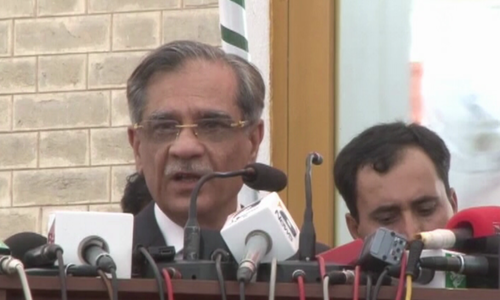 “If the nation agrees then we will also build Kalabagh dam after the construction of Diamer-Bhasha and Mohmand dams,” the CJP had reportedly said at the ceremony. However, the PPP senator said that talking about Kalabagh dam amounted “to rubbing salt on the wounds of the people of Sindh”. Ms Palijo said the people of Sindh were faced with acute shortage of water and only 30 per cent of land could be cultivated this year. She said that because of lack of water downstream Kotri barrage, thousands of land in Thatta and Badin had been eaten by the sea water. It may be recalled that Sindh Chief Minister Syed Murad Ali Shah had even expressed his reservations over the proposed construction of Diamer-Bhasha dam. Talking to media in Karachi last week, the Sindh chief minister had stated that he was not against the construction of Bhasha dam but had “some reservations” over its “location and availability of water in the system” in such a quantity that the dam could be filled. In reply to a question about the Bhasha dam, he had said it (the dam site) lay in the seismic area and the quantity of water required to fill the dam was not available in the (Indus) system. Mr Shah had said that the Bhasha dam project was originally initiated by the PPP government, but objections were raised on its technical issues. Therefore, he insisted, “the Centre needs to take the federating units on board” over such controversial projects. The chief minister said that his government and party’s policy on construction of dams was very clear as the Sindh government was constructing 34 small dams and work on them had almost been completed while work on 16 other (small) dams was to begin soon. In May, the then opposition leader in the National Assembly, Syed Khursheed Shah, had even warned that the people of Sindh might have to close the province’s border and cut it from the rest of the country if it would continue to be denied its due water share. Mr Shah is also opposed to the idea of building dams through donations. All those resisting Kalabagh Dam should be charged under Article#6 of the Constitution. The dam should be build as an agricultural, economic, security and defense issue. Pak military should called in as a protective measure. Take all Mega Corruption cases back on Corruption Mafias PPP and PML-N and there will be zero resistance. Who needs foreign enemies when you have such local mafias. Book them on Treason case !!!! The ultimate aim is Kalabagh dam. Think of Pakistan first or you could have done something alternative in your the times federal governmental tenure. PPP does not want to see the progress especially in interior Sindh as the people will get better and the feudal lords will be thrown out. When children were dying in Thar (and are still dying) and the ppp leadership was syphoning out billions of dollars through money laundering, was it not equivalent to rubbing the salt? Parties like PPP are the reason why we are now on the verge of water shortage. Even without Kalabagh dam Pakistan has seen massive flooding in recent years, it's all politics no scientific reasoning behind their opposition to Kalabagh dam. PPP should instead be answerable for the criminal negligence in Thar where so many kids have died because of malnutrition, Thar region is one of the hardest hit due to severe draught. Do i need anything else to prove the negative impact of these so called democratic parties? We need dams to protect our future! Delta on Indus River near its joining of sea is not being created by any upstream dams in Punjab or elsewhere.,It is being created by the three barrages dams in Sindh ie Guddu at Kashmor, Sukkur and Kotri where flow of water is controlled and slowed as per requirements thus creating delta at the end of Indus. 35 small dams will also do the same.PPP in Sindh should finish and demolish all these instead of blaming or stopping dams in rest of the country. Of course, PPP will resist any project which is for the betterment of our country. PPP has done nothing for the betterment of the country and now they will also resist the project because they are not making any money out of it. People of Pakistan wants Kalabagh dam it’s only enemy’s of Pakistan like ppp and anp don’t want to make dam. Federal government need to be tough and 18 amendment doesn’t give provincial power of corruption and negligence. Federal government has every right to punish the culprits. And if pm can be punished then why not sindh cm and it’s crooked party. The river flows through other areas which have right to the water too - what goves Sindh the ‘power’ of veto?? is there a formal feasibility done on these dams that should be the first step; it would definitely help build public confidence which would inturn result in increased financial support from pakistani at home and overseas. Playing politics with fate of Pakistan ! The technical considerations shall be preferred over political ones. Let dams experts from provinces and center hold discussions, make analyses and then decide things on merit and for the benefit of people of its country. Infighting among ourselves will destroy us. There should be separate dams for commercial purposes and for common people otherwise nothing will change industrialist steal 60 of electricity and gas on common people expense. Money in the right places usually buys the PPP's landowners what they want. Total live storage capacity of Kalabagh dam is 6.1 (MAF) and by applying following formula which is also known as Pakistani formula to workout total loss of water due to seepage of unlined water canals of Punjab we get a figure of about three times more than storage capacity of Kalabagh dam. S = 5Q^.0652P*L/106 Where; S =seepage losses; Q = the discharge( ft^3//sec), P= the wet perimeter and L=length of channel in feet. Also if we could save huge surface runoff of the catchment area of Baluchistan during the rainy season by building storage and delay action dams, we could get annually about 25 MAF of water, with very good alluvial soil the Baluchistan would become secured food basket for the middle east and Central Asia. Similar lot of surface runoff wasted in southern KPK which could be used for irrigation by making small flood control and delay action dams. Why we want to increase irrigation area of one province only and not taking benefits of controlled storm water of the other provinces. Could the government of country call for a referendum on this issue, making all who are opposing or favouring the building of this dam, sign an agreement to abide by the results without any more talks for or against after the referendum? Anything that benefits Pakistan is opposed by so called opposition..they are worst than enemies..
Those who are against the construction of Kalabagh Dam do not even pay the electricity bills. They should be shown their true faces. Try them on treason cases. Why can't a government hold referendum on this issue in opposing units ? This is not a technical issue rather a political issue. All the technical feasibility study are in the favour of this dam however needs to build consensus. "Ms Palijo said the people of Sindh were faced with acute shortage of water and only 30 per cent of land could be cultivated this year". This brings up the rationale for building a dam. Sindh is facing water shortage all year round as bulk of water is available for three months only. If it is stored, it can be used for the entire year. If some one was to ask Sasi Paleego what reservations does she have on Kala Bagh Dam i can bet she wouldn't know ABC of it. Anyone who is against the construction of Kalabagh Dam should be tried out for treason as they never want Pakistan to progress. Having Kalabagh Dam can solve the electricity problem of Pakistan and also many other problems as well. Ridiculous and illiterate statement by PPP. I thought this Bilawal Butto was a learned person. Comes out to be contrary. The corrupt cant offer any resistance. They rely on assistance. PPP and others are bunch of incompetent politicians in National Assembly for pay purposes and for self interest only. Give us your strong intelligent reasons. The concerns of downstream areas must be addressed before authorities move forward on this project. Well of course who cares for the public. PPP leadership will get their bottled mineral water shipped from Scotland for both drinking and taking bath. What has PPP done for the people of Sindh or for the people of Pakistan? Children died in Thar because of hunger and thirst under thir watch. That can not become the future of entire Pakistan. @iamonline "PPP is the real threat for Pakistan i will not surprised if we found any news about Indian funding to PPP"
You are too small and insignificant for India. We have many other priorities. Creating obstacles in the country's economic progress for personal or party gains must be charged under high treason. They show the utter disrespect to the country an parliament an not how they always put it. Let such corrupt democracy end or good. If PPP shall resist people will resist PPP. Go ahead Imran Khan! The main cause of the hardship if sind is the local government...These people should be kicked out if politics due to their lack of knowledge and understanding.They are also the true enemy of the people. This Kalabagh Dam issue should be solved forever. Either make it or totally forget about it. PPP is a big & respected political outfit of Pakistan. People should give weightage and value to their voice as well. PPP, PMLN,ANP and MQM are the worst enemies of Pakistan and had been running and ruining the country on our enemies parole for the last 30 years. Is it still not clear? Note how the corrupt have banded together on issues such as national security, dams and new provinces that are beacons of removing the corrupt from power. People now clearly know who is rubbing the salt or who has looted the national wealth and stacked abroad. Corrupts can't be people friendly. Kalabagh dam is the most economic option in all of the dams. What are you PPP? Even animals need water to live? Build kalabagh we are with you cj, they can build dams in kp, GB why not sindh then? In the interest of the country, all those measures and steps should be taken that gurantee Pakistan's independence and growth. Politics should be setaside. Indians are with Sindhi brothers. The dam must e build at all cost. Majority of politicians are corrupt and don't care what happens to the masses, they have properties outside the country and their children live there, they have nothing to loose. It is really really shameful act by PPP . At one side Pakistan is facing the Challenge of protecting its Water which is wasted mainly due to non availability of Major Water Reservoirs and we are about to face Draught sort of conditions And on other side our Main Streem Political parties are beating their self made anti Dam agendas. . We have given both Parties more than 30 years of Governance and the result is in front of us. Shame on you PPP; On whose agenda are they working? All these politicians have land and they know what would kalabagh dam means..
Who needs enemies outside when you've them at such high positions within the country. Does he have a better solution to water crisis? Either they should come up with better solutions or shut up and stick their resistance where sun doesn't shine. Zardaris Wadera Inc at work to save their skins! CJP should stay away from controversial issues like the ‘kalabagh dam’. Otherwise his efforts for the orher dams will get tarnished and issue will become political and divert attention. Dam should be built at any cost! .... people trying to stop such initiatives are enemy of the state! Just blackmail and use of Sindh card which has been the hallmark of PPP. If you ask any educated person, he would definitely say that this dam should be made as soon as possible. State needs to act with its force to complete it. Kala bagh dam should be constructed by using looted and recovered wealth of the nation from these politicians. Those who. object are the loosers of the country and should be sent to jails immediately. All those people who oppose Khalabag dam projects have shown their true colours and, do not want Pakistan becomes self sufficient in water resources and prosper in other fields. These are the enemies of our nation and article 6 should be tried on them, no matter who they are, they should be behind bars for treason. The rampant corruption and mismanagement of the PPP is rubbing salt in to the wounds of the people of Sindh. @Mannyata Rana everyone know how big party PPP is? please stop patronizing the unpatriotic. Ridding the country of these PPP waderas will be an everlasting gift to Pakistan. The enemies of Pakistan are in plain view now. They have exposed themselves, These are the very people, who ignored the pleas of people dying of thirst in Thar district in Sindh - their own home base. If they couldn't care less for the constituients, can we expect them to care for rest of the nation? They will sell out Pakistan in a heartbeat and take the money to London - where all crooks end up getting refuge these days. Time for Zardari to see the inside of a jail - for a long time. Kalabagh Dam is the brain child of Zulfiqar Ali Bhutto. @Umair AHmed Not if 3 of the 4 provinces have not signed up for it. Nothing should be bulldozed against wishes of any segment of people. If people wishes are not respected, they will not respect the wishes of the state. Just leave build other dams all over. Instead one huge damn, build many smalker ones. @Arshad Then they will have to book 3 dissenting provinces. If it only benefit one province then there is problem so other provinces difficult to come to terms. No surprise there. PPP has always given a loss to Pakistan. They appointed ambassadors during their rule who worked against the interests of Pakistan abroad. This certainly a shame that at home they continue to practice policies of loss to the nation. @El Cid Yes arrival 6 is the only solution to deal such people. Eventually, PPP will meet the same fate as Altaf-led MQM. It is only a matter to time. Their true colors are not vividly open for all to see. Never again will they be allowed to come to power in ISB. We shoul eradicate all hurdles for the betterment for the country. Twist their arms a bit and they would all agree. There is absolutely no need to listen to unlawful and illegitimate demands of shrewd and crooked politicians. You have just two choices, construct dams for life sustaining water to drink and grow crops, or die like flies in a scorching red hot desert heat, no water to drink and no food, it is just a few years down the road. Those opposing dams have robbed enough money to by prestigious properties abroad, they have residential visas to live there, when the red hot desert starts to kill, they will be on first class flights and private planes out of the country. What in the name of Lord are you saying? There is something fishy here. It is not land or water. It looks like there is a different story to it. PPP should come up with sound technical reasons for opposing KB dam. Mere opposition for the sake of opposition is of no consequence. Resistance to Kalabagh Dam will break the back of the Pakistan Peoples Party for good. @El Cid All those wanting dams should build it in Sindh. Upper states stealing all the water, while Sindh reels in drought. Please don't high light these corrupted person, which are few. Highlight the whole nation which are donating to build the dams.few number of enemies are not reflect the whole nation. @B N Sharma Why you keep on harping on every string that is connected to Pakistan. Please mind your business and don't worry about us as we are much better off without you. People want the dam, only PPPs own vested interests and their personal and selfish benefits are their reason of dissention. That's all. These people are now being exposed as the blockers of progress in Pakistan over the last many decades. PPP is just playing the Sindh card. Don't let them play it. Build Diamer-Basha first and lets not even talk about Kalabagh for now otherwise PPP will just keep playing the Sindh card. Shame on PPP and others resistence, Thar is crying and dying because of water, all land is waiting for water and to be honest, Kala Bagh has nothing to do with Sindh or any other province, it only BOTHERS INDIA, and these leaders had and is still getting money from India. Bilawal is a learned person? political party PPP are numbered. of the rural areas of Sindh. Build this dam with the iron fist. Period. Only Punjab will benefit from these dams. @Shakir Lakhani trillion of gallons of river water went from Sind to Oceans and got wasted for ever. Can you bring that water back. No No one has stoped and is stoping Sind not to store that water. @jawaid you cannot have referendums on scientific questions. Kalabagh dam must be built if the 225 million people of the Islamic Republic of Pakistan including their future generations don't want to die of thirst and hunger in the forseeable future. Honorable Chef Justice of Pakistan should invoke Artcle Six. Pakistan's survival depends on Kalabagh Dam. Fair enough, Kalabagh dam can wait a little until we sit on the desert land to sort out our differences. Let the discussion begin!! PPP. How a storage dam reduces water. It should in fact decrease wastage during overflow time and increase availability during low flow time. Mega dams are getting obsolete and are not environment friendly. There are so many other modern alternatives for creating electricity. Why evoke such a controversial thing now? If Pakistanis think there will not be a problem in Sindh after Kalabagh dam is built then they should also not object to India building dams on the eastern rivers. Kalabagh Dam must go on. Government must not listen to them and put a ban on people who are talking against the project. So leave Sindh and the people without drinking water? They always have complaints and reservations on helping the people, never ever offer a solution, PPP needs to figure out a way to help the millions in Sindh, or it just might end up like another failure like the one in Punjab, where there is hardly any support left for PPP. Good move by the PPP. Now is the best time to nab the leaders of this party under Article 6 and also expose the mega corruption its leaders have been engaged in, their sole occupation in Sindh. Kalabagh Dam will be life line for the province of Sindh. Those opposing KBD are enemies of Sindh and working for other’s agenda because only India is taking advantage of delay of construction of KBD. KBD will never and cannot stop flow of river Indus water as its design shows. It will store only every 3rd year flood water and store it for the next 3 to 4 years, produce electricity. Absolutely in favor of all over Sindh. There will be no harm at all to Nowshehra city of KPK, as its water table lower further 10 feet, now it will be 20 feet, which is much safer for city. Even 10 feet was safe enough. Dam feasibility is ready, most ground work is ready, WAPDA engineers are familiar with site and basic design, some infra structure still exists, local villages’ relocation already done. It is low cost, and very easy to build this dam in 3 to 4 years. I request SC Pakistan, Parliament, Senate and PM to initiate this dam also on priorities. Kalabagh Dam or Article 6, choice is yours. Do we have the funds to construct Kala Bagh Dam? If not then why to waste energy in this useless debate that is counter productive to the national unity. New Government should go ahead with their plan, no need to give any importance to those who oppose construction of dams. These people has done nothing in the last three decades and now they are out to pull PTI's legs.